Kudit is proud to announce the launch of their new webservice specifically targeted at the upcoming Apple iPhone which will be released on Friday. This site specializes in elegant and easy to use tools specifically designed for the iPhone. The applications to be available at launch are a coin toss program, a stopwatch, a scorekeeping program, and a mystic 8-ball. The Stopwatch is a stopwatch application, very similar to that found on the iPod nanos. 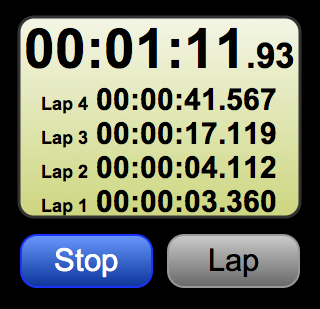 It includes a lap timer and pausing functionality. 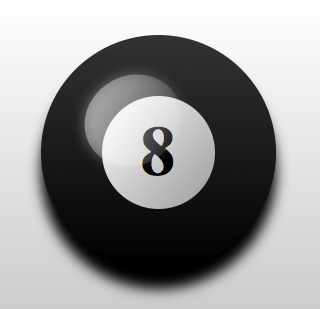 The Mystic 8-Ball gives yes or no answers. We even shake it for you! You can choose between a standard shaking animation and a more interesting "spastic" animation. Your settings are stored and remembered for future uses. Alongside today's website release and initial application offering, Kudit is excited to announce that they are working to release a long list of applications over the next month, several to be released before the iPhone's release on Friday. Additional details and information about this new website will be revealed in the future. Be sure to visit the Kudit website for more information.